One of the best ways to explore the country is in the comfort of an RV. As in previous articles, we’ve written about the various options and how to go about renting an RV. Another way to rent, may be more economical than going through a dealer, or the oft-seen Class C rentals from Cruise America, Best Time RV, or checking your RVRA Dealers. 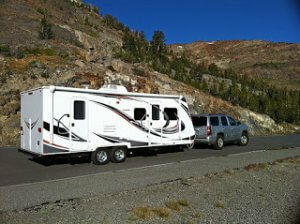 We whole-heartedly agree that renting an RV is a worry-free, less expensive way to travel. Peer to peer networks make it even easier to rent an RV at a lower cost than a traditional rental service. 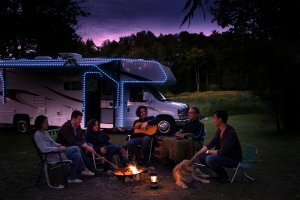 You get to see what the RV lifestyle is all about, while the owner gets to make some income to help with their RV loan and expenses. We’ve put together a guide to help you save even more money when renting an RV. An RV owner or independent dealership lists their RV on a peer to peer network like RVshare. They upload photos and other information about the rig. They set their own prices and limitations (like mileage). Then, they sit back and wait for renters to apply. There’s no fee for them to list their rental, which ends up saving you money. Someone with the urge to travel (ahem, you) goes on the website and explores available RVs nearby. 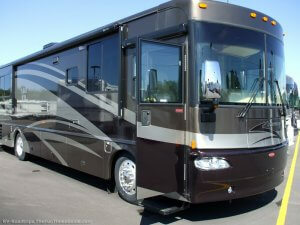 You’ll see RVs of all sizes and classes and get to choose the one you like the most. Compact Class C? Why not! Luxury diesel pusher? No problem! When you’ve finally found the RV of your dreams, simply book online and you’ll be able to communicate with the owner via email. After they screen your information, they can accept your request and reserve your dates. 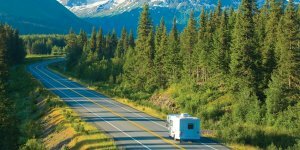 Most RVs come with liability insurance and all come with 24-hour roadside assistance. You’ll meet with the owner when it comes time to pick up your RV. After your trip, you’ll need to return the RV clean and free of damage to get your deposit back. As with all things travel, the off-season is usually less expensive. Plan a trip outside of peak summer and fall months. A Labor Day weekend trip will cost you more than if you book a few weeks afterward. Look for discounts for long-term rentals. Many owners and independent dealers will cut you a break if you book for longer than a week. Likewise, booking far enough in advance might net you some savings too. Look for unlimited miles. It’s rare, but it’s not impossible. Most owners set limits on how many miles you can travel in a day or overall. They’ll charge you for each mile you go over the limit, so if you do find a rental with unlimited miles, grab it! Another rare, yet not impossible tip is to look for RV relocation deals. Dealerships occasionally have to move their inventory to other states or across the country. It’s expensive for them to do it, so they’ll give you a great rental rate to the driving for them. Sometimes rentals can even be as cheap as $1 per day! Make sure you don’t rent an RV that’s too big for your needs. Smaller RVs cost less and use less gas. If your traveling party consists of you and one other person, a small Class C might work well for you. 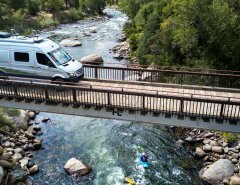 If you already have a truck, you can save money renting a towable instead of a motorhome. Consider it living (or driving) within your means. One of the most important ways to save money is to pay attention to the owner’s limitations. Aside from mileage limits, many RVs also come with a damage deposit. Read the rules carefully. 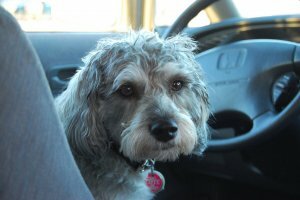 You’ll lose your deposit if you bring pets along or smoke in the RV when you’re not supposed to. Respect their RV like you would your own property and you’ll be just fine. Be mindful of how much weight you’re carrying. Extra weight will put a strain on the transmission and use more fuel. Don’t bring equipment you don’t need. Plan your routes outside of rush hour. Sitting in traffic is never fun, and it wastes quite a bit of gas. You can also use an app like gasbuddy.com to find the cheapest gas along your routes. 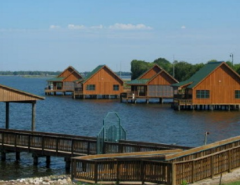 RV Clubs like Good Sam Club and Passport America offer discounts on RV parks, fuel, and more. It might be worth your while if you’re taking a long trip or plan to take several trips throughout the year. You’ll see the most savings if you know how to dry camp. Many national forests and parks offer disbursed camping for extremely cheap rates or free! Keep in mind; you’ll have no amenities, and you’ll have to follow the rules. Try to limit your generator usage. Generators use fuel, and fuel costs money. If you rented an RV with solar power, use solar to charge your batteries and run small appliances. Otherwise, check out this guide to saving electricity, water, and other resources. In our opinion, renting an RV is the great way to travel. 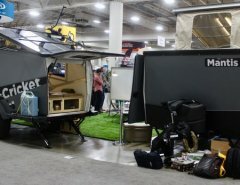 You save yourself the hassle and expense of flights and hotels, and you’ll also save money not having purchased an RV as a lesser-experienced RVer. Another added bonus, if the owner is amenable (read the contract): take your pets with you instead of boarding them or searching for a sitter. All the “creature” comforts of home are with you. Renting truly is the best way to try out different models and styles and you essentially test drive and see what you like, and what you don’t need. 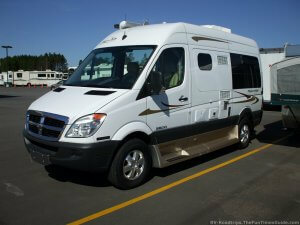 Have you rented an RV through a peer to peer network before? We’d love to hear your thoughts! Happy camping, and Safe Travels!